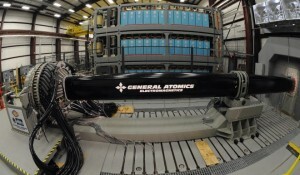 Home > Blog & Resources > Defense > The U.S. Navy’s New Railgun Can Hurl 23-Pound Projectiles Over 5,000 MPH! 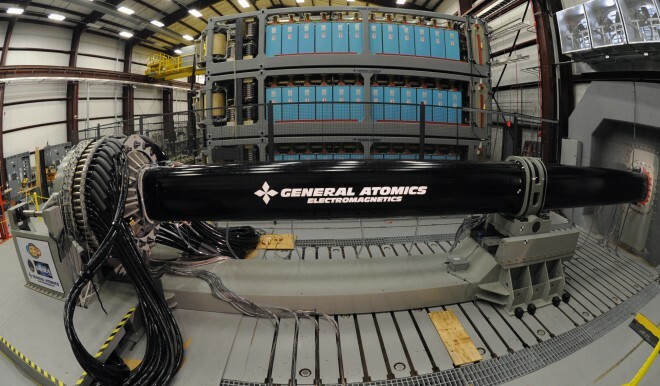 The U.S. Navy’s New Railgun Can Hurl 23-Pound Projectiles Over 5,000 MPH! Yes, it sounds intense but what does it actually do? For starters, the launcher is capable of hurling 23-pound projectiles at speeds exceeding Mach 7 thanks to a form of electromagnetic energy called Lorentz force. To put it in perspective, that means shells can travel over 5,000 MPH! The best part about the Navy’s new weapon? The round are affordable! One 18-inch projectile only costs $25,000 which when compared to a range of $500,000 to $1.5 million for most missiles, sounds like a pretty darn good deal. The huge railgun launcher surprisingly only requires one person to operate it and has a range of 100 miles!